You are here:Home » Product Reviews » Appreciation Post to Generous Sponsors for Cancer Patients! Do you know that Cancer is the No. 1 Killer in Singapore, with 1 in 3 Singaporeans dies of cancer? (Source from Ministry of Health, updated 2012). 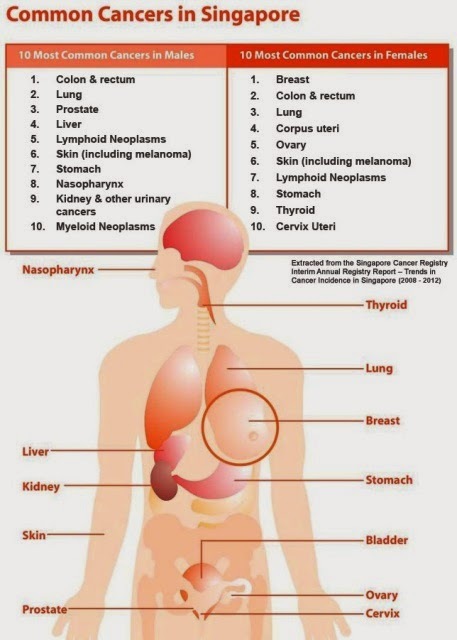 According to the National Cancer Centre Singapore, Cancer develops gradually as a result of a complex mix of factors related to environment, lifestyle and heredity. Scientists estimate that 80% of all cancers are related to the use of tobacco products, what we eat and drink, and to a lesser extent, cancer-causing agents (carcinogens) in the environment and workplace. Lung cancer and breast cancer had the highest mortality rates in males and females respectively. Lung cancer accounted for 27.6 per cent of cancer deaths among males in Singapore and breast cancer accounted for 17.9 per cent of cancer deaths among females. Of late, a lot of my friends and relatives seemed to be down with this dreadful disease. My father-in-law has left us end of 2009 due to Lung Cancer. Shortly, my brother-in-law was hit by Stage 4 Colorectal Cancer. I'm quite sure that was probably the most difficult times of his life, but Andrew fought the battle fiercely, both mentally and physically. It has been 4 long years, and it's painful seeing him going in and out of the hospital for his chemo sessions. Andrew and his supportive wife put up a brave front, never asking for help even thought they were financially strapped with savings all wiped out because of his years of treatment. Due to the sickness, Andrew is unemployed and his loving wife is just working as a baby-sitter since she needs to take care of her hubby. Nonetheless, they still lead a happy and cheerful life. I'm so proud of them! Just last month, another friend also came down with cancer - Stage 4 Prostrate Cancer. Raymond needed 6-course of cancer treatments and each time is about SGD 5K! The medical fees in Singapore is crazy! As the saying goes, you can afford to be poor but you can't afford to be sick. Fortunately for him, our small group of friends managed to raise SGD 12K for his first 2-course of treatments. However, his wife couldn't take the stress and broke down, leaving 2 young daughters to fend for themselves. Unlike Andrew who fought the battle alone, Raymond is lucky enough to have this group of caring friends who set up a support group in What's App. There, we encouraged him and gave him morale support; everyone in the chat put in effort to help the family, especially when his two gals are sitting for PSLE and GCE "O" Level this year, two very crucial examinations. It's very inspiring and I was deeply touched by our friends' gestures. A sudden thought came through one morning as I was really concerned for the 2 little gals. Since I'm always getting goodies from my lovely sponsors, why not have these wonderful goodies sent to these families as well? So I asked 5 of my sponsors which I thought their products may be beneficial for the cancer patients, and all 5 responded in good faith and without hesitation. Few of these sponsors and PRs are those I've worked with very closely for quite a few years already. Knowing my humble brother-in-law will turn down all offers, I went ahead anyway to request for products to be sent to him as well since I'm writing for Raymond's family. I actually had a hard time trying to persuade Andrew to accept the goodwill from the sponsors, but I'm really glad he finally did. 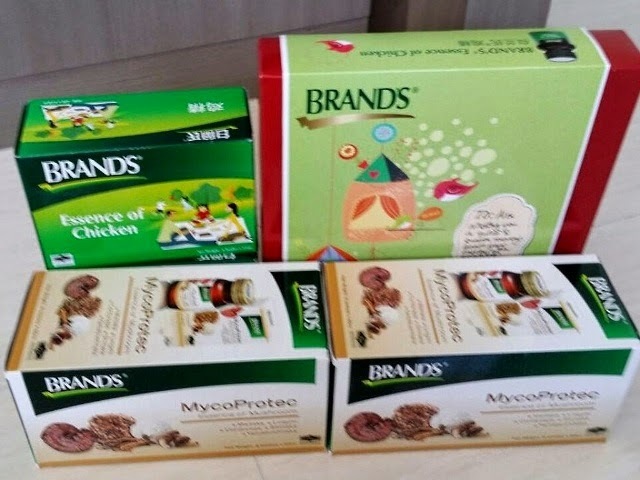 Included in the hamper is the BRAND’S® Essence of Mushroom, which has anti-cancer properties and helpful in terms of boosting immunity. 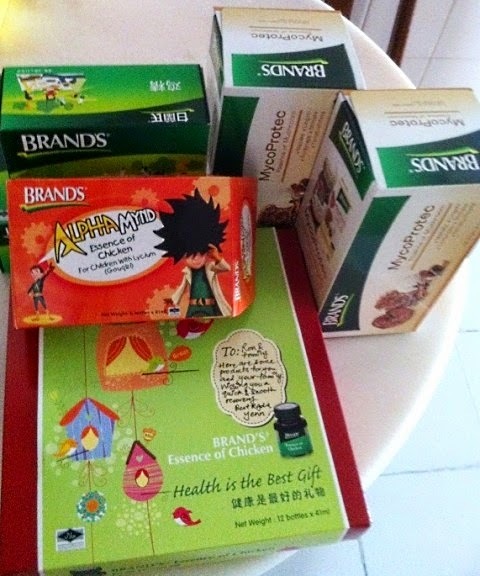 BRAND’S® Essence of Chicken will be helpful in reducing their tiredness and regaining energy. 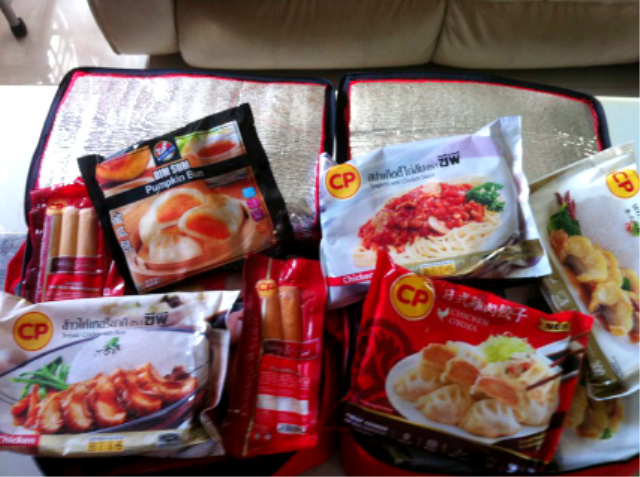 6 months supply of delicious ready-made food from CP Foods, delivered on a monthly basis!! Paying close attention to the freshness of ingredients at every stage to ensure customers get the best quality products, it's yummy food from one of the world's finest production facilities! I love Flenco's products with their unique blend of Asian oils and Chinese medicine. 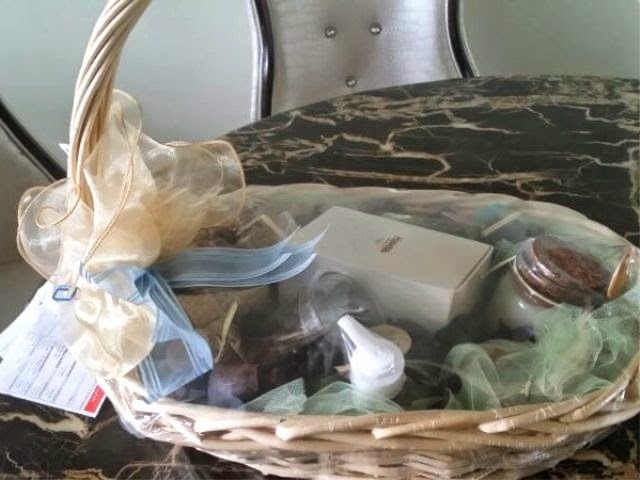 These spa items are very uplifting, and I thought the Dead Sea minerals with the essential oil may help to relieve the stress of the patients especially after their hospital treatments. Coincidentally, Flenco also teams up with Lebanese climber Henry Saliba to fight cancer in his 'Climbing for Hope - Andes 2014' expedition. With every set of candles you purchase, one candle goes to the sick child as a gift of 'hope' and the other will go to you and your child as representation of solidarity and oneness! Proceeds will go towards the Children's Cancer Center of Lebanon's (CCCL) cancer fund to help these beautiful souls fight this sick disease. I'm sure a lot of us have grown up with Maggi noodles, an international brand of instant soups, stocks, bouillon cubes, ketchups, sauces, seasonings and instant noodles. Don't you just love Maggi noodles? As the leading Food, Nutrition, Health and Wellness Company, Nestlé is the provider of the best food for whatever time of day and for whatever time of your life. 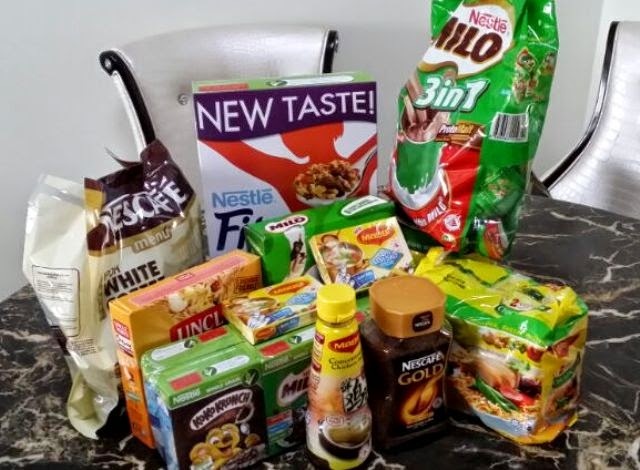 Do you know that Nestlé launched in several countries such as France, United Kingdom and Russia "Good Nutrition Programs" to help children adopt healthy nutrition habits as a component of a healthy lifestyle? Using only natural flavours that are plant based extracts, NuStevia products help the patients prepare healthier " No-Sugar" menu items. These natural flavours do not contain any MSG (monosodium glutamate) or any other “natural flavours” that are known to cause allergic reactions in the body. Not sure it it's true, I heard that cancer patients cannot take sugar. So these NuStevia products certainly come in handy! A special thanks to all the wonderful sponsors and PRs who responded promptly to my call! Thanks so much for your hardwork and kind gestures in getting the go ahead! You guys rock! Early detection saves lives! Going for regular screening is often the best way to guard against cancer. So if you're born in 1964 and turning 50 this year, you'll receive an invitation letter from Health Promotion Board to receive free Cancer screenings! Have you gotten yours yet? Call to make an appointment at any of the selected Polyclinics or Radiologic Clinic! * If you are not born in 1964, you may be charged SGD 50 for Singaporeans and SGD 75 for Permanent Residents. Valid till 31st December 2014. Thanks again for the tremendous effort, including those in the What's App support group for Raymond! I'm really glad that Raymond's wife has already recovered and is back to work, while Raymond's body is receptive to the treatments and is also back to his office with light duties. As for Andrew, he's still coping with his illness, and going for his regular check-ups. Andrew and Raymond, stay cheerful and strong; you're not alone! * (names of patients have been changed to protect their privacy). 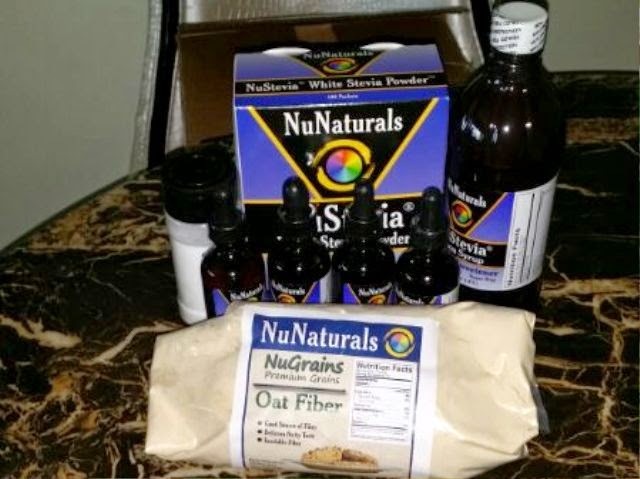 NuNaturals NuStevia Goodies Facebook International Giveaway! That was a very kind gesture. You have a good heart. Praying for them and hope things change for good. Shirley, I am so touched by this post! The least we can do is to give them encouragement and moral support.. I can relate to those who are suffering from cancer because my own dear one are affected as well. It is indeed heartbreaking to see them in pain... I am sure you understand what I mean... Carry on the good work, Shirley! Big Thank You to your sponsors too!! Claire, I guess mental support is just as important. Oh dear, hope all's well with your dear one. Take care too! Kim, I'm truly thankful to my sponsors for their great effort. I'm so sorry for your lost, my dear. Thanks so much for leaving your words of comfort! Dear Shirley, I didn't know that cancer is so aggressive in Singapore. It has been so amazing to do that... I'm happy that all sponsors accepted your request without any hesitation. Thanks alot for your kind efforts and may every good returns to be with you. THANKS! THANKS! THANKS! Shirley, you are a wonderful person. I am so happy to have met you through blogging. The sponsors are amazing too. God bless them for their kindness! Sharon, I'm just as delighted to meet you in bloggersphere! Thanks & appreciate your wonderful note! Suraiya, thanks so much for coming by & it's great following you too! It's so thoughtful of you to come out with this idea.... you rock too! Great post! This is very heartwarming. Have an amazing day! You are such a good friend Shirley, thanks for sharing all those experience with us. Glad that those big brands there are willing to raise their helping hands! Mary, glad you found it informative! 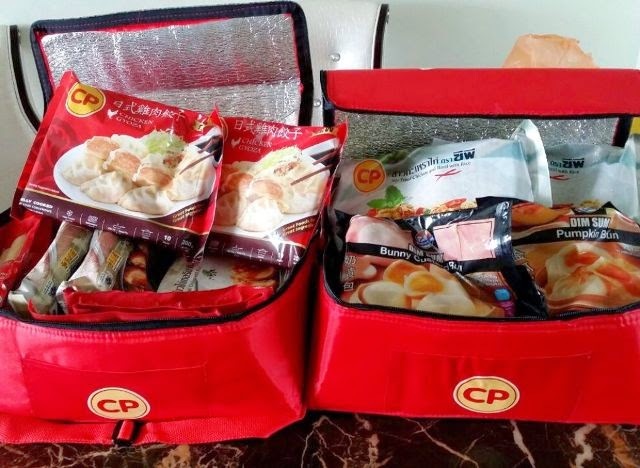 That's so sweet of you to send the goodies to cancer patients. Bal, I'm glad to be able to help. Been trying in vain to post my comments on your blog, dear. Bravo Shirley! You have done a great work. And bravo to the sponsors who without hesitation agreed to send things to them. Shirley, you are amazing and with a big big.. Heart!! and have a wonderful week ahead! And of course, kindness from the sponsors! Xinyun, I could've have done it without these awesome sponsors :) Thanks, sweetie! I mostly use Maggi and Nestle products. Thumbs up for the care and sharing Shirley. Nava, thanks for your lovely note! Great idea! You have a big heart! KK, it's really nothing much. Thanks, dear! You did something special, I wish your relative the best of luck and may he get well soon!! Coco, thanks so much for your kind thoughts! *Use of chemical mosquito repellents. *Lack of clean drinking water. Use anti-cancerous substances like Turmeric, green tea, medicinal mushrooms etc. Limit radiation and Sun UV exposure. Stop smoking, active and passive. No pollution, no chemical insecticides or pesticides. Rajiv, I can't thank you enough for your input. It's always good to read the notes from you. I'm sure my readers will appreciate it too. My Dad too down with prostate and it improve a lot after he took dates with honey juice. Recent checked it is not cancerous anymore. Hopefully he recover well. Cindy, that's really amazing! Hope the patients will try it out after reading your suggestion. Best of health to your dad! Wow, such a great info Shirley:). it's good to know and learn such a health care ! If I have missed your last replied, I do apologies. it has been hectic here, the first week back to school for my boys, I've never got time for the shoot or neither new post:). Wow, this is such great information! I've taken the steps to prohibit carcinogens where I can but I know exercise and healthy eating is at the forefront, thanks for the info! Thank you for the blog visit sweets, hope to see you back soon! Julie, thanks so much for sharing your thoughts too! See you soon! BE, thanks & have a good day! Cancer is becoming more n more common. This is a kind act from all the sponsors!